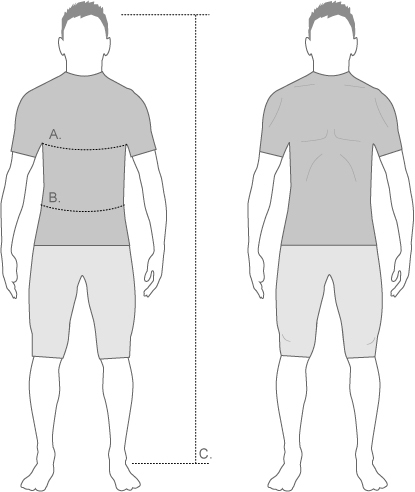 dhb form fit garments are cut for a tight fit that fully contours with body in the cycling position. Constructed from high quality lightweight stretch fabrics, form fit garments offer a light compression effect and each ensure panel is in direct contact with the skin for efficient moisture transfer and excellent aerodynamics. Ideal for racing cyclists with slim, athletic builds. dhb Aeron Speed Bib Tight is rated 4.3 out of 5 by 3. Rated 4 out of 5 by BillV69 from Does the job Bit dubious at first having no zips, but they're comfortable, fit well and they do the job very well. Rated 5 out of 5 by Pippa12 from Perfect in everyway I was lucky enough to test these through last winter, so although i didnt buy them, i wanted to talk about me experience. The first stand out is the fit, i cycle a lot 250Km+ a week, and the shaping, feel of the fabric, position of the different panels made me feel like superman. A feel of support and compression that made my legs tell my brain, go riding! The fabric looks fantastic and the dhb team say its positioned in key aero areas to make me go faster. The combination of the warmth and breath ability oif the outer grid fabric meant i rode them all winter - i run quite warm and ride crica 30km/h avg. Aswell as feeling great visually they look awesome. I rode them at Flander and the fred whitton and the number of people that asked what they were and where they they could get them was unbleivable - all tights look the same, these look as good as they feel. Finally the leg finish, with out the zip, a simple thing rihgt, but a revolution!!! no sense of zips against your skin and when you wear overshoes, normaly even worse, they feel great. I've used lots of dhb kit, wihtout doubt this is my favourite piece and is not going back!!!! !